Wouldn’t it be nice to add a link to your syllabus at the beginning of the year that has your blog, your Diigo feed and resources that will be used throughout the year. Now you can. 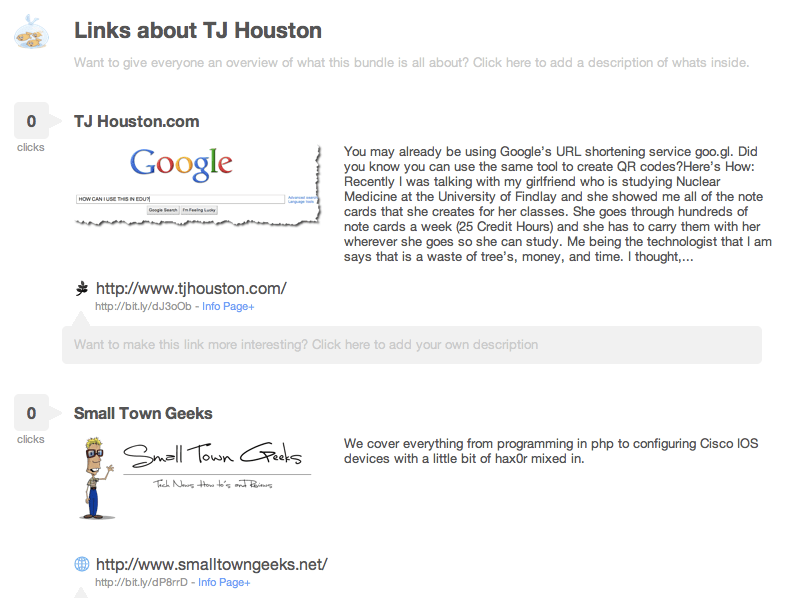 There are 3 services that allow you to take multiple links and media and “Bundle” them into one short link. Lets take a look. weblist.me allows you to mix several different types of media like websites, text, pdf’s,video and share all of them with an easy to use link. How could you use these in the classroom? You could create a list at the beginning of the semester with links to web based resources that you will use in class like Progressbook, Accelerated Reader, The school website, your Personal Blog, etc. Take this one step further and create a QR code that you could post around your room or on your website. 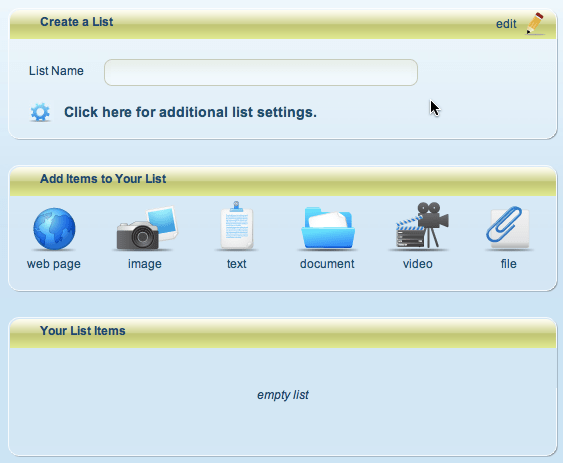 Use weblist.me and have the first file be a document that has your webquest on it with steps in order to complete. How do you plan on using these tools?